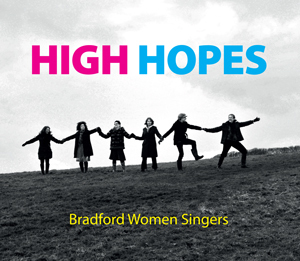 We have three CDs available, including our newly-released High Hopes (listen to some track samples below). 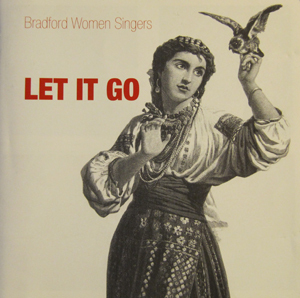 Buy securely via this site, or email us for more information (singers@bradfordwomensingers.co.uk). All CDs are £10.00 plus postage and packing (£1.50 for the first one, then 50p each). 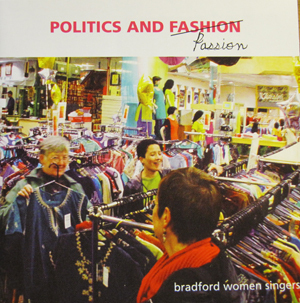 Our new album includes long-standing favourites and new jewels; songs of hope and anger, love and sisterhood. Download our lyrics (pdf file).